Anne was the daughter of John III, Duke of Cleves, and Maria, heiress to the duchies of Julich-Berg. Both duchies were fiefdoms of the Holy Roman Empire, and owed allegiance at the time of Anne’s birth to the Emperor Maximilian I, and subsequently to Charles V. The politics of the Empire shaped Anne’s destiny. Anne was born in Düsseldorf Castle, the second of her parents’ children to survive. She was given a very traditional education, supervised by her mother. She spoke only her native High Dutch, and, whilst she was well – versed in the traditional skills of household management and needlework, she did not learn any of the courtly skills that were prevalent in the larger courts of Europe. During Anne’s early childhood, a large part of the empire, roughly correspondingly to Germany, was convulsed by the religious upheaval instigated by the Augustinian monk, Martin Luther, followed by the hugely destructive Peasants’ War. This tumult led to many of the northern Imperial states seeking to reduce, or even throw off altogether, the control of the Empire in secular matters, and the Roman Catholic hierarchy in religious matters. In Cleves, Anne’s father did not join the Lutheran party overtly, and Anne was brought up as a Catholic (contrary to what is often supposed). Duke John sought reform of the Church within his territories, but he looked to Erasmus rather than Luther for guidance. Duchess Maria was far less interested in ecclesiastical reform than her husband. In 1524, Cleves allied with John Frederick, Elector of Saxony, the leader, together with Philip of Hesse, of the Lutheran princes of Germany – a grouping later known as the Schmalkaldic League. The alliance was sealed by the marriage of Anne’s elder sister, Sybille, to the Elector. During the early 1530s, Henry VIII of England had considered entering into an alliance with the German Princes, to gain support for the annulment of his marriage to Katharine of Aragon, but, despite urging from his chief minister, Thomas Cromwell, he did not go further than discussion. The King preferred to maintain an alliance with Francois I of France against Charles V. Henry was firmly opposed to Luther and his followers, and Luther was equally unimpressed by Henry. By the late 1530s, the situation had changed. 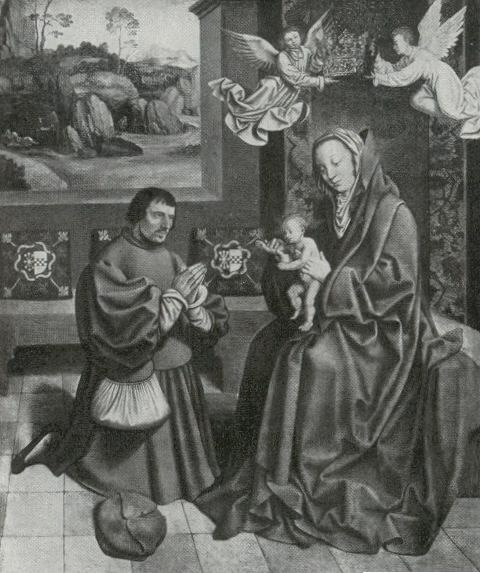 Francois I and Charles V had formed a defensive alliance, and the pro-reform element of Henry’s Council urged the widowed King to consider a bride from Cleves. His choices had also been somewhat limited by the refusal of the Imperial candidate, Christina of Denmark, to entertain the notion of marrying the man who had harried her great-aunt, Katharine of Aragon, to an early grave, and the French lady Henry preferred, Marie of Guise, had already agreed to marry James V of Scotland. Henry himself was far more demanding in the matter of wives than most royal husbands. He had known his first three wives before marrying them, and had consciously chosen them. This was very different from most royal marriages of the time, when it was very unlikely for the couple to meet before the wedding date was imminent. He wanted a wife whom he could love. Anne and her sister Amelia had been mentioned in 1538 as possible wives for the King of England, although the ambassador to the Low Countries, Thomas Wriothesley, mentioned that neither was considered particularly attractive or learned, but with few other avenues available in 1539, emissaries were sent to Cleves. The agglomeration of the lands that Duke John ruled was strategically important, and Anne’s brother, Wilhelm, was recognised in 1538 as Duke of Guelders, giving the whole territory access to the sea, and increasing its strategic value as an adversary of Charles V.
Negotiations were opened for a marriage for Anne with Henry in 1538, much to the irritation of Charles V, and possibly to the disappointment of Anne’s mother, who was not greatly in favour of the match. Nevertheless, the prospect of a crown and an alliance with England was too good an opportunity to be missed and Duke John pursued discussions. Anne’s father died in early 1539, leaving her brother, at the age of twenty-two, in charge of his sister’s destiny. He was eager to promote the match and welcomed the envoys from England who were sent to report on the suitability of either Anne or her sister Amelia as a bride for Henry. Cromwell had already whetted his appetite with the information that Anne exceeded her sister Sybille, considered to be beautiful ‘as the golden sun excelleth the silver moon’. The Lady Anne was also reported to be extremely modest in her bearing. In August 1539, Hans Holbein, Henry’s court painter, was despatched to Cleves to paint the Anne and Amelia. Whilst Amelia’s portrait is unknown, the two he made of Anne are still extant – the exquisite miniature in an ivory case in the V & A Museum in London, and the full length portrait in the Louvre. In both, Anne is presented in the fashions of the court of Cleves, very different from the French and Italian styles popular in England. Before matters could proceed to a conclusion, it had to be established that Anne was free to marry. There had, perhaps, been an earlier betrothal, to the infant son of the Duke of Lorraine. The Cleves’ government assured the English envoys that the discussions had not led to a binding betrothal. On 4th October 1539, the marriage treaty was signed. Henry had been so entranced by Holbein’s painting, and perhaps also the thrill of irritating the Emperor, that he had agreed to waive the provision of a dowry. As the season was now unfavourable for a sea-journey, a safe-conduct was requested from Mary of Hungary, Regent of the Low Countries, to allow Anne to travel overland to Calais. The permission was granted, and Anne said goodbye to her family and set out to a foreign land and an unknown husband. On her arrival in Antwerp, she was greeted with enthusiasm by the English merchants of the city, who gave her a torchlit procession. As she entered English territory at Calais, guns were fired in salute. Owing to storms and unpredictable sea conditions, Anne remained in Calais for two weeks, entertained by the Lieutenant, Henry’s half-uncle, Viscount Lisle, and his wife, Honor. Lady Lisle wrote to her daughter, Anne Basset, who had been one of Queen Jane Seymour’s maids-of-honour, that the Lady Anne seemed very kind and easy to please. A number of Henry’s councillors had arrived to meet her, including both of the late Queen’s brothers, Edward Seymour, Earl of Hertford, and Sir Thomas Seymour. Anne passed the time in learning to play English card games, to speak some of the language of her new home, and admiring the English ships. Presumably, she had never seen a ship or the sea before. All in all, Anne made an excellent impression. Whilst gracious, she was not over-familiar, and showed every sign of wanting to fit in with English customs, even going so far as to ask about table manners. Anne’s flotilla of 50 ships finally set sail two days after Christmas, arriving at deal at 5pm on 27th December, to be met by Charles Brandon, Duke of Suffolk, and his young wife, Katherine Willoughby. The sea journey had been horrible, and Anne very sea-sick, but she had no time to rest, moving on to Dover Castle, then Barham Downs, before arriving at the Bishop’s Palace in Rochester on 31st December. Henry was by now so impatient to see his bride that he decided to make an unannounced visit. It was a common courting trick for the groom to arrive incognito, and the lady, who was supposed to recognise him, was to pretend to be overcome by his charms. James IV had paid just such an incognito visit to Margaret Tudor when she first arrived in Scotland, and Henry himself had liked to dress up to surprise his first wife. 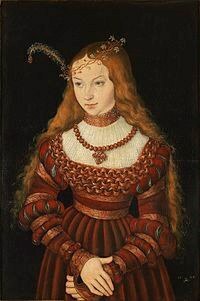 Unfortunately, Anne was either completely unaware of this courtly game, or genuinely had no idea that it was Henry who had burst into her apartments in Rochester, and tried to embrace her. She received the intruder coldly, and continued to watch the bull-baiting that was being carried on outside the window of her room. Henry was brought face-to-face with the fact that, without his royal persona, a young woman would have no interest in him. He exited the room swiftly, to return covered in purple velvet, to the oohs and aahs of the assembled company. Anne, now realising the magnitude of her error, ‘humbled herself lowly.’ The betrothed couple conversed, presumably through an interpreter, for a polite length of time, before Henry departed. He immediately told Cromwell that he was deeply disappointed: ‘I like her not’. There is no contemporary evidence that he referred to her as a ‘Flanders mare', and such a remark would be out of character – paradoxically, although Henry did not stick at despatching wives, he was usually a gentleman in his manners. Nevertheless, it was immediately apparent that he found Anne deeply physically unappealing. No other commentators suggest she was particularly plain – Dr Wootton, the envoy to Cleves, thought that Holbein’s painting was very lifelike. But, of course, physical attraction is an elusive thing, and cannot be legislated for, even amongst kings. Anne certainly had more to complain of than Henry, but, of course, she had no option but to try to make the best of things. Henry’s first thought was to try to find a way out. Could Cromwell come up with a scheme to stop the marriage? But such a move would be an insult of the most outrageous proportions – to reject the Duke of Cleves’ sister like an unwanted parcel might drive Cleves back into the arms of the Emperor. The pre-contract with Lorraine was aired, but the Cleves delegation insisted that it had not been binding, and that they would produce documentary evidence to support their contention within three months. Cromwell and his other councillors informed the King that he would just have to go through with it. Perhaps they thought that, once in bed with the candles out, one young woman might be as good as another. Preparations proceeded. Anne made a formal entrance into her new capital city with a reception at Blackheath, where she was greeted by the court, including her new family – her three step-children, Mary, Elizabeth and Edward; Henry’s niece, Lady Margaret Douglas, and his daughter-in-law, Mary, Duchess of Richmond. It was a grand affair, and Anne was widely cheered. Whatever Henry thought, most people who met Anne seemed to like her. Since the main purpose of the marriage, so far as Henry was concerned, was to increase his family, this inability to consummate the union posed a huge problem. He continued to make efforts to overcome his distaste for a few weeks, but his doctor told him not to overstrain himself. Consequently, he would get into bed, hold Anne’s hand as he kissed her and bade her goodnight, and, in the morning, kiss her again before departing. Anne’s ladies soon became aware that all was not well and asked her about what was going on behind the bed curtains, as they were worried that there was no sign of pregnancy. Anne, either genuinely unaware of the facts of life, or feigning ignorance for her own reasons, told the ladies about Henry kissing her, and asked them if that were not enough? There must be more than that, Lady Rutland told her, before a Duke of York could materialise. But Anne was probably perfectly satisfied to be a queen without having to endure the intimate attentions of her less-than-ideal husband. There was no question but that she should receive a full household, and the jointure appropriate to her station. Amongst the Queen’s new maids-of-honour, was the attractive niece of the Duke of Norfolk, Katheryn Howard. It was not long before the King noticed the vivacious girl, and since the political landscape in Europe had changed, leaving an alliance with Cleves as less valuable than before, he looked for a way of ridding himself of Anne. Anne was not to be bundled off to the Tower on trumped up charges – she was a foreign princess, and, even if Henry did not find her attractive, he had no personal animosity towards her. Instead, two arguments were put forward upon which an annulment could be based. The first was the pre-contract with Francois of Lorraine, and the second was the King’s inability to consummate the marriage, which conveniently proved to be caused by his inner knowledge that the marriage to a woman pre-contracted elsewhere was invalid. On 26th June, Anne was directed to remove to Richmond Palace away from the rest of the court, on the pretext that there was plague in the air. She probably had no inkling that the following day she was to receive a delegation from the Council with astonishing news. Her marriage to the King was not valid and would be annulled. The Councillors must have waited with bated breath to hear her response. According to one report, Anne fainted, but the official report merely notes that she listened carefully to the declaration, delivered by an interpreter, and then agreed that she would accept whatever Henry thought right. Anne was either inordinately self-possessed, or had, perhaps, received prior warning that something of the sort was in the air. She wrote a letter to Henry, accepting that their marriage was invalid, and returned her wedding ring. 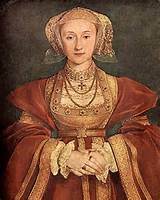 She signed herself ‘Anna, the daughter of Cleves’, a careful claiming of her rank in the world without the awkwardness of using the title of Queen. Henry was, in many ways, a generous man, and he was now open-handed in his treatment of Anne. She was to rank immediately after any new Queen, and his current and any future daughters. She was also granted estates to the value of £3,000 per annum – not a great deal less than a queen’s jointure, and the same annual amount as Henry was to settle on his daughters in his will. The one stipulation was that Anne was to remain in England. She was well-treated and honoured, but she was a hostage for her brother’s acquiescence. Thus Henry had all the benefits of a marriage with Cleves, but without having to live with a woman he found unattractive. Particular care was taken to ensure that Anne was naturalised as a subject of Henry’s. Katharine of Aragon had argued that, if she were not Henry’s wife, then she was not his subject, so did not need to concern herself with Parliamentary acts. No such opportunity could be given to Anne. One of the first acts of obedience required of the former queen, was for her to share the humiliating story of her rejection with her brother. Anne initially suggested that she would prefer someone else to break the news, but the Duke of Suffolk persuaded her, no doubt with copious hints as to what happened to disobedient subjects, to write to Wilhelm. Wilhelm was not pleased at the rejection of his sister, and was particularly unhappy that she was to remain in England, but the English envoys assured him that she remained of her own free will. There is no definite evidence of how Anne felt about remaining in England. She was far wealthier and more independent there than she could have been in Cleves, but there was no prospect of her marrying and having a family of her own. Although, had she returned to Cleves, it is not certain that anyone would have offered for a cast-off bride of Henry’s. Once the annulment was completed and Henry had married Katheryn Howard, he and Anne seemed to get on well. Anne was invited from time to time to court, where she treated Katheryn with all the respect due to a queen, and Henry visited her. She had received Hever Castle, Richmond Palace and Bletchingley Manor amongst other properties as part of the financial settlement. In fact, Anne and her former husband were on such good terms, that after Katheryn Howard’s execution, it was rumoured that Henry would remarry Anne. Two members of her household were summoned before the Council to be warned after speculating about the matter. Anne might well have been willing to re-enter the fray – to become part of the mainstream of political life, rather than the retired life she had been condemned to at the age of twenty-five. Duke Wilhelm sent envoys to try to resurrect the match, but Henry had no intention of reuniting himself with his ‘sister’, and by 1543 had his sights set elsewhere. Anne was offended at his choice of Katherine Parr, whom she thought less good-looking than herself, and she does not seem to have been friendly with this successor. After Henry’s death, Anne became increasingly concerned about money. Her settlement had been extremely generous, but she wrote a number of letters during Edward’s reign to the Council, as well as numerous letters home, complaining about the cost of everything. The 1540s and 1550s were a time of rapid inflation, so that may have led her to feel the pinch – or perhaps her income was not paid with the regularity it should have been by a government that was increasingly short itself. In 1553, when Mary became queen, Anne travelled in the first carriage behind the new sovereign to her coronation, seated beside Elizabeth. She wrote a number of letters home, suggesting that she longed to return to Cleves, but there was no prospect of that. She remained on good terms with Mary, visiting court from time to time. In early 1557, whilst living at Chelsea, she fell ill, and died in July of that year. 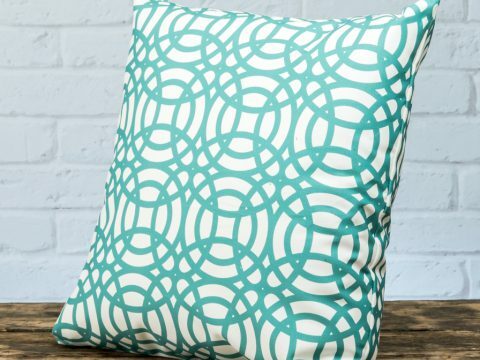 Her will made generous bequests to charities, and nominated gifts to friends and family. The funeral was carried out with royal pomp, paid for by Queen Mary, and Anne was laid to rest in Henry VII’s Chapel in Westminster Abbey.